Thanks to donators, Carpgame lives on! Hi everyone, I'm now working on a new carpfishing game and every donation is welcome! Thanks to your support and tight lines. 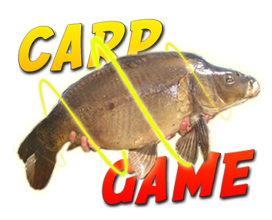 "Hello, I am playing carpgame since the august tests, and it's getting better and better. More tackle in the shop, it's like real fishing! I am a big fan and I wanted to congratulate you for all the work you've done here. It's only a game, but when the lady says no, it's better than nothing. Thanks again." "Congrats for your game, it's awesome !" "This game is really interesting and well done." "bravo for this game, I've been playing since this morning and I already caught my first virtaul carp! I'm gonna spread the word !" Usefull public propositions are integrated. The server where the game is is not free. I spend many hours of my free time maintaining and improving this game. Most of all, I offer a free entairtaining game, specially to kids! Finally, for each donation you make, you receive a special gift. Be sure to log in order to receives the bonuses.